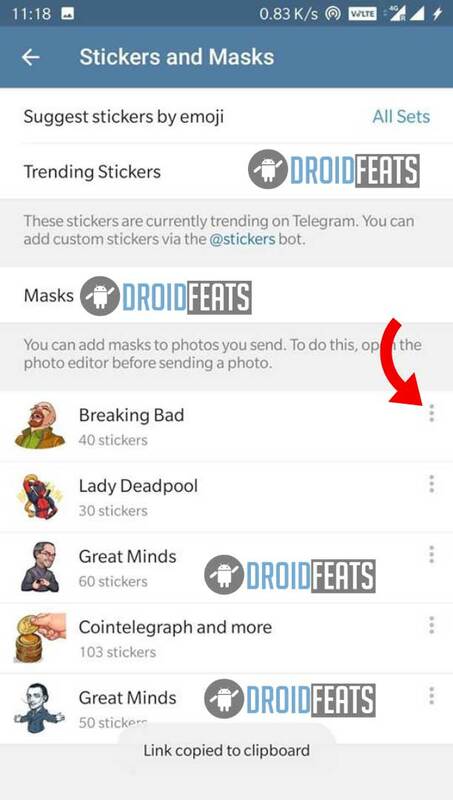 With this guide, you can expand your WhatsApp sticker library by importing from your favorite Telegram Sticker packs. 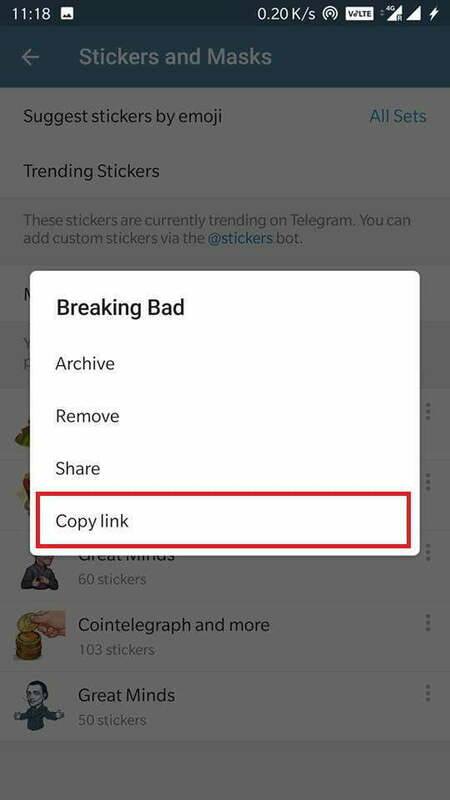 WhatsApp sticker packs were launched a couple of months ago, while Telegram has this functionality since ages. So, it is quite apparent that Telegram can have much bunches of sticker packs then WhatsApp messenger. Currently, WhatsApp comes with a little 7 sticker packs, and of course, they will bring more in the future updates. We had already covered an article about best WhatsApp sticker packs earlier, where you can find tons of custom stickers without any efforts. 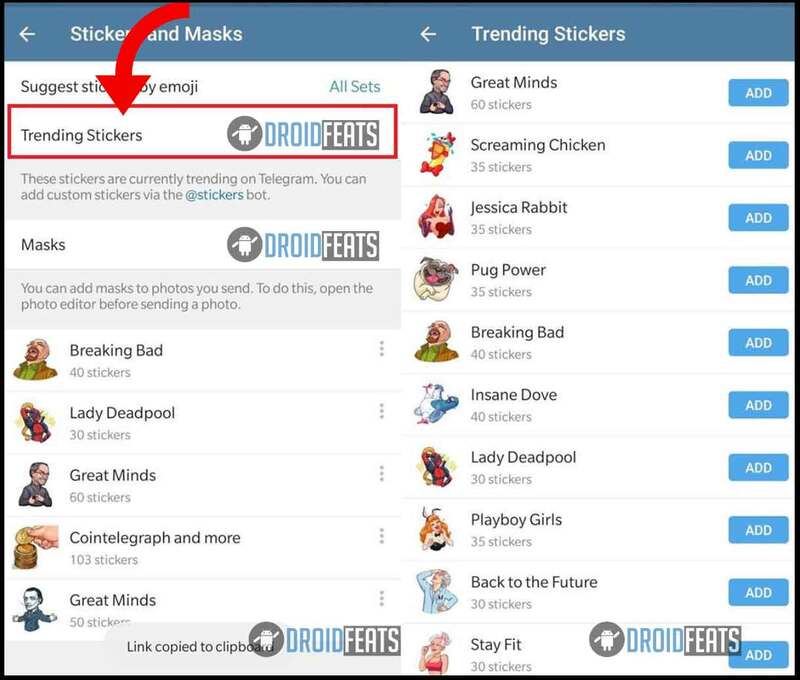 If you want to bring more sticker packs on your WhatsApp messenger from some third party application like Telegram, read the detailed guide below. We are pretty sure; you would love it to use on your phone. Since Telegram has a ton of inbuilt sticker packs from a long time, you can get some great varieties. And it makes sense too. 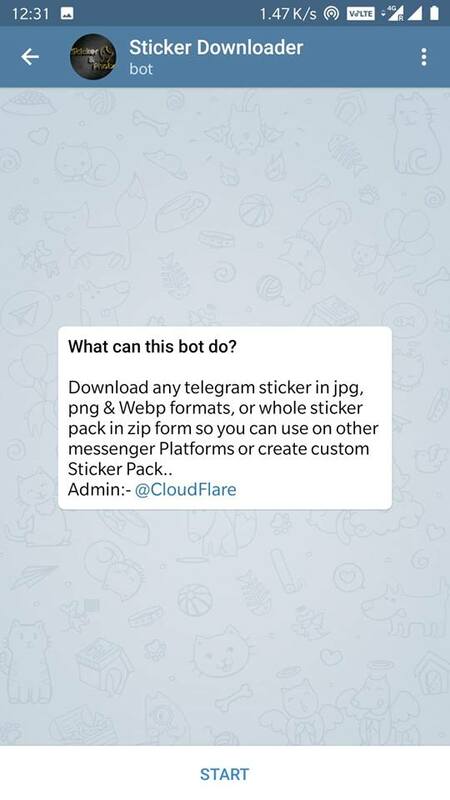 This guide is one of the coolest hack available on the internet to get any Telegram Sticker packs on WhatsApp messenger. You can surprise your friends by sending some cool stickers from Telegram. So, let’s begin the tutorial. 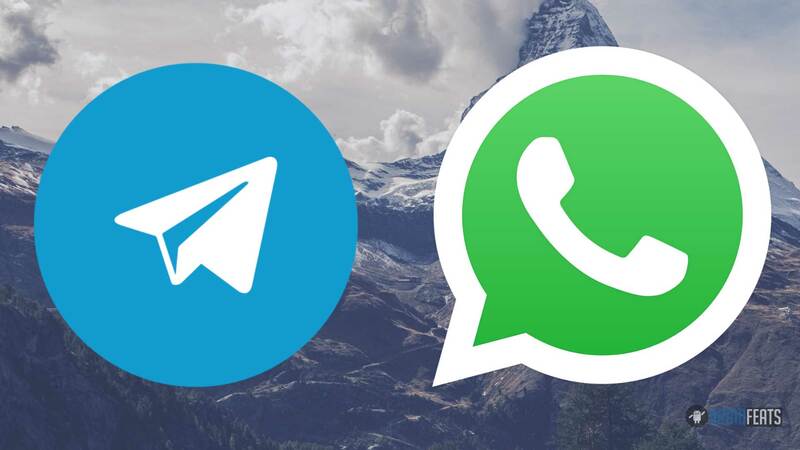 But before that, make sure you had both the app (Telegram and WhatsApp) installed on your phone. We have described this guide in detailed so that you don’t get confused on any steps. 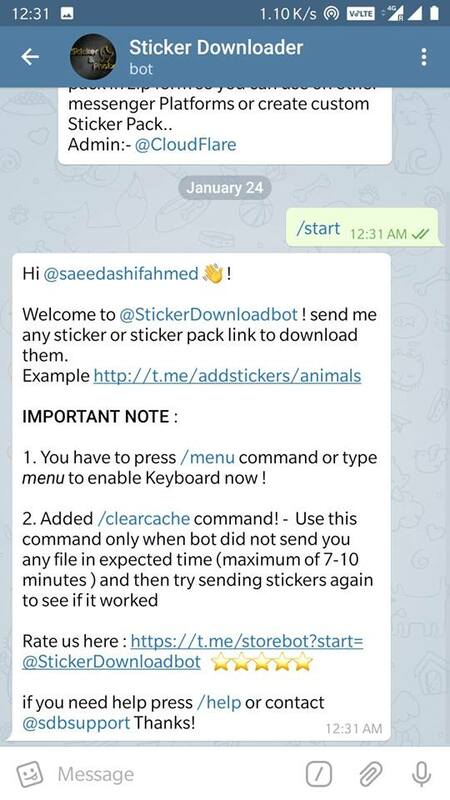 Read ahead and create WhatsApp stickers from Telegram. 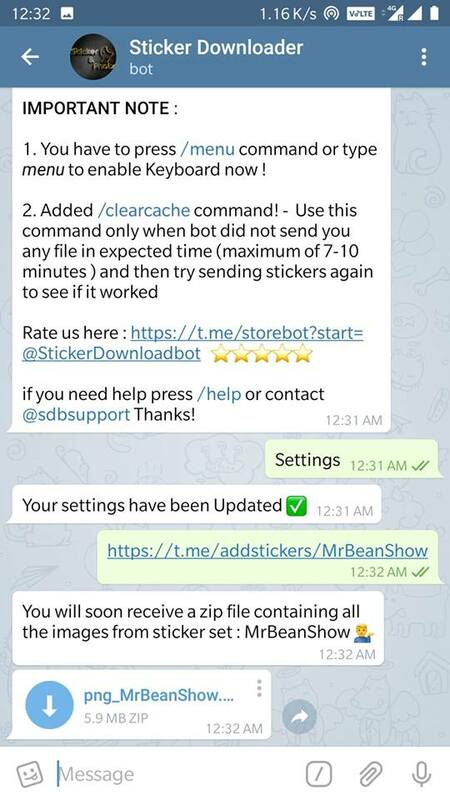 Here’s our handy guide on how to create WhatsApp sticker pack from the Telegram app. We have split this guide into three parts. Read ahead! Download the Telegram application from Google Play Store (if you don’t have installed from before). Launch the app and tap on the 3-dashed line at the top left corner as shown in the screenshot above. Tap on the Settings option and then navigate to Chat Setting as shown in the above screenshot. Now, scroll down and tap on the Stickers and Masks option. After adding, go back to the previous page. Tap on the 3-dot icon by its right side. Return to the Telegram home page and tap on the search icon at the top right corner. Tap on the Start button at the button. In return, the bot will reply you a welcome message. 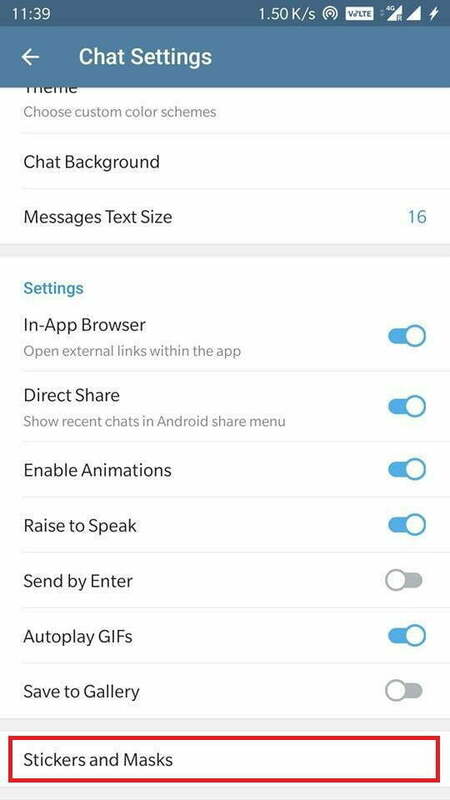 Type “Settings” in the chat box and send it to the bot. The bot will reply you to choose the output formats. You need to select the PNG format only. The bot will confirm that your settings have been updated. 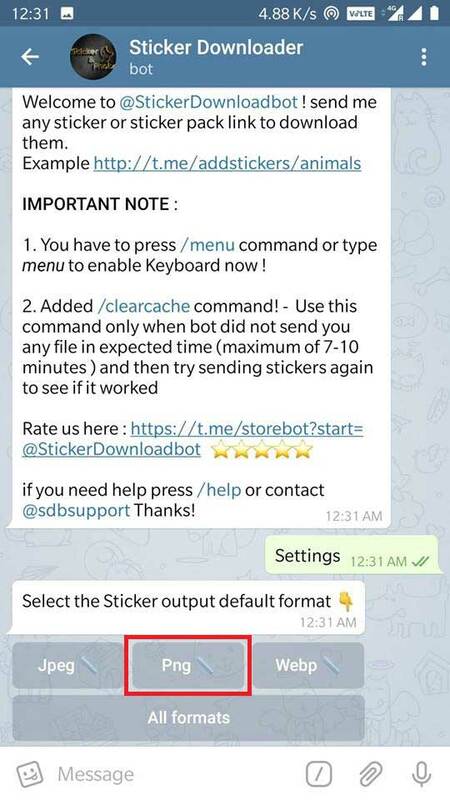 Now, paste the link that you had copied in step #9 in your chat box and send it to the bot. 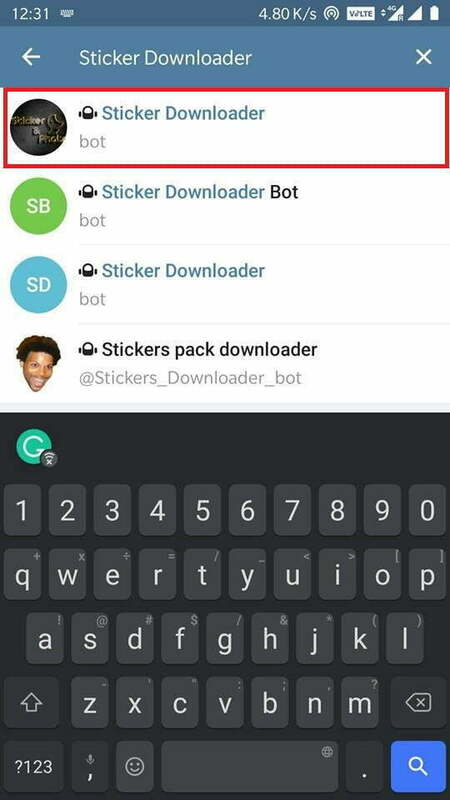 The bot will confirm you that you will be receiving the requested sticker pack in a ZIP soon. Wait for it. Once you receive the file, download it and save it on your phone’s internal memory. Now read part #2 below! Extract the downloaded ZIP file using any file manager, preferable ES File Explorer (our choice). It is easy and best among all for Android – available in the Play Store. Transfer the extracted folder (where all the stickers in PNG format are available) to the root folder – internal storage, using the file manager app. If you are confused, refer to the video embedded below! Download and install Personal stickers for WhatsApp application on your phone from the Google Play Store. Now, open the application. You will see the sticker folder that you had just transferred to the internal storage. Just tap on the ADD option in the right. 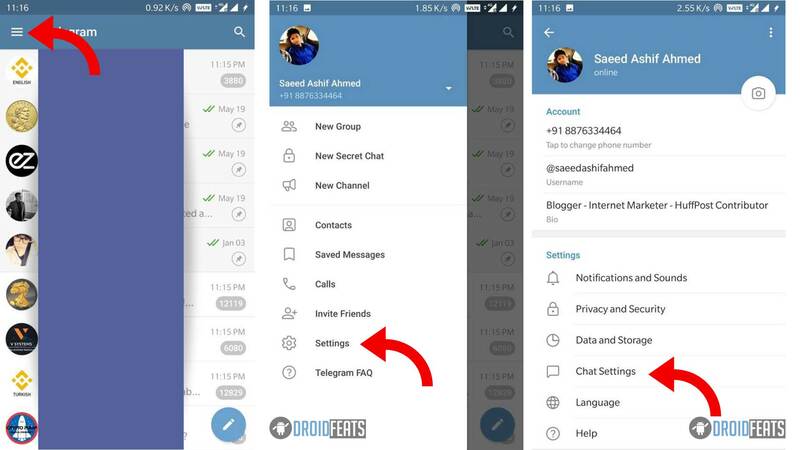 You will see the confirmation of Sending to WhatsApp. 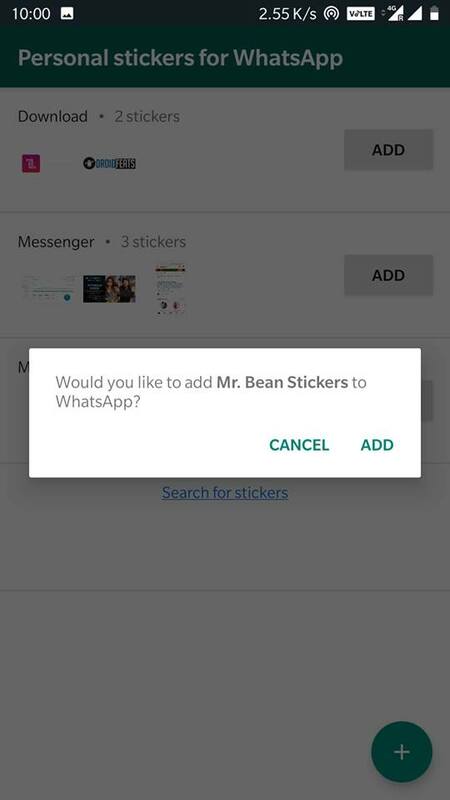 A pop will ask you to ADD the sticker packs to WhatsApp. You need to confirm it by tapping on ADD option. That’s it! 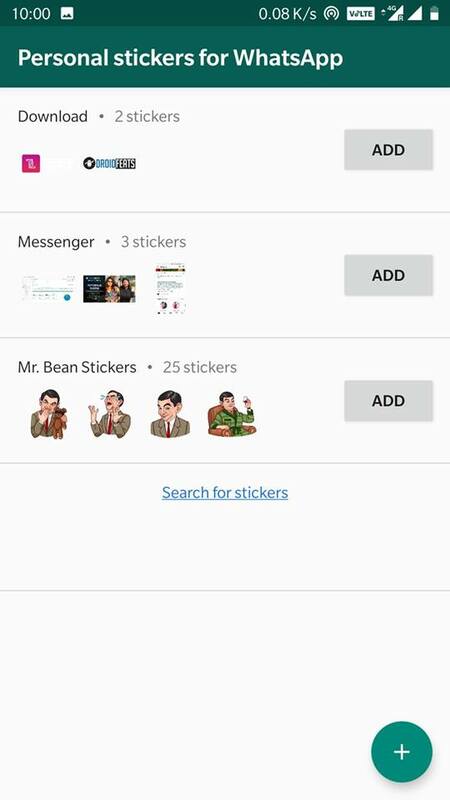 Telegram Sticker packs have been successfully imported to your WhatsApp messenger. If you are still confused with the above tutorial, you can check out the video below for better understanding. So, how’s the wise trick above? Were you able to follow the guide? If not, do let us know by comment below! 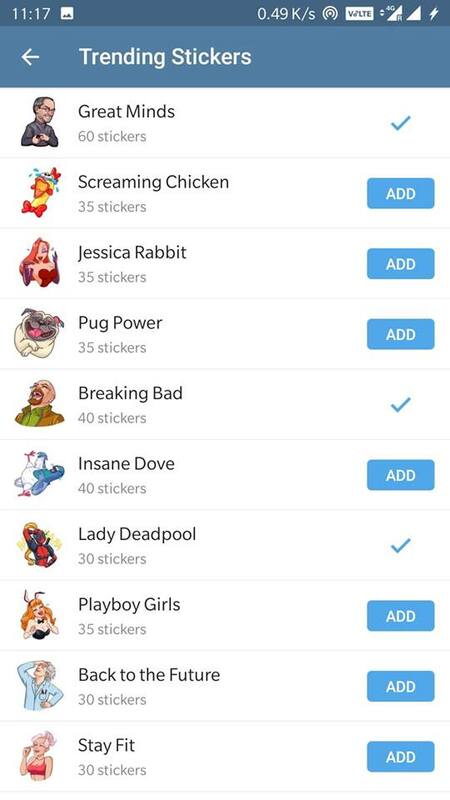 Also, do not forget to share the name of your favorite sticker packs from Telegram in the comment section. Next articleOfficial Galaxy M10 and M20 wallpapers – Download now!